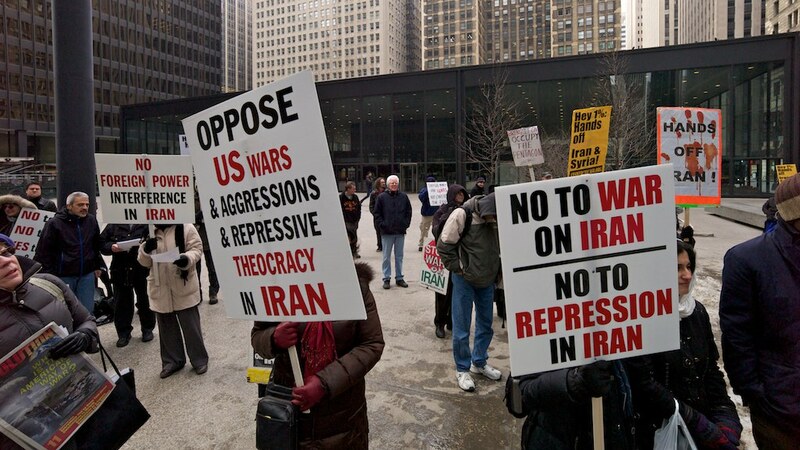 Chicago Says Visibly and Loudly No War On Iran! During a time of increased U.S./Israeli threats of an attack on Iran and the same false rhetoric that the “other” is a threat to Americans coming out of Washington that goes hand in hand with these threats there was a group of 150 people here in Chicago who are refusing to go along with this grave injustice being planned against the people of Iran. 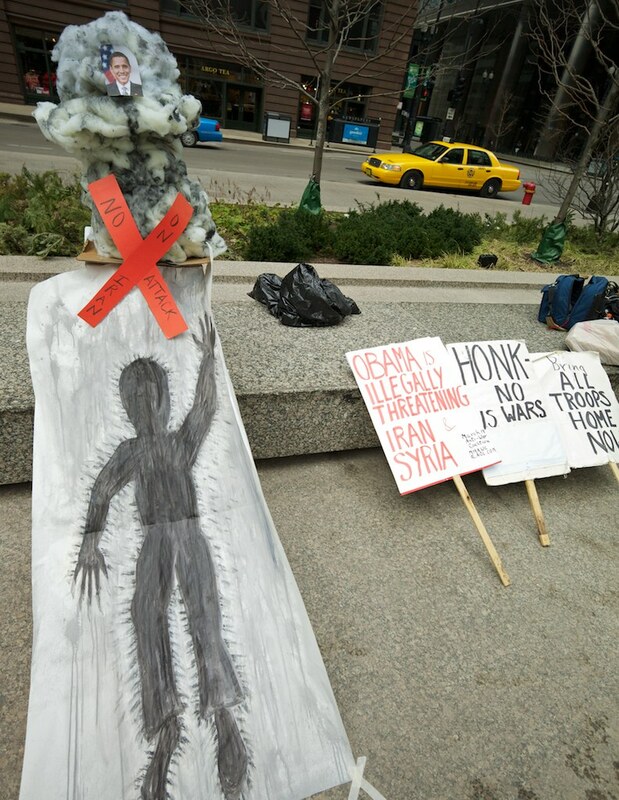 They came out to Federal Plaza Saturday afternoon to say “No War On Iran”. This rally and march coincided with 70 other actions across the country called by World Can’t Wait and other organizations to say No War, No Sanctions, No Assassinations against the people of Iran. 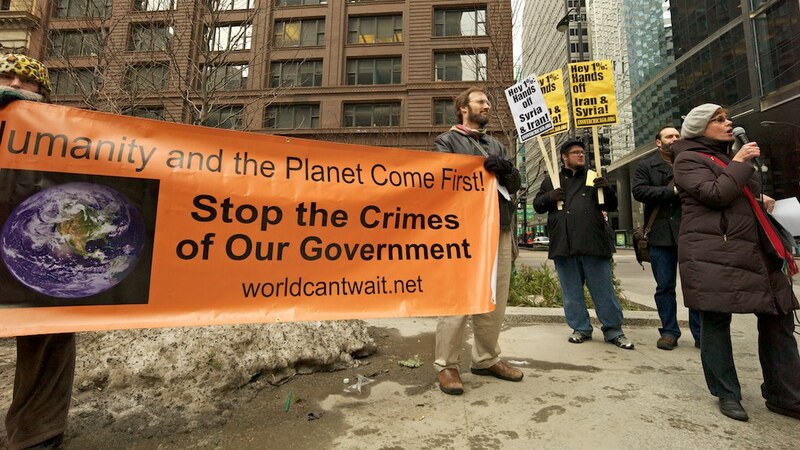 The events began with representatives from Midwest Antiwar Mobilization, ANSWER, Albany Park Neighborhood for Peace, World Can’t Wait, and an Iranian American all apeaking to the horro and disaster, war, sanctions, and assassinations would bring to the people of Iran. There were Iranian Americans in the crowd with signs that put out the sentiment that while they hate the repressive Iranian regime that they do not want the U.S. or Israel to attack Iran because they know what a horror it would be for their families and friends in Iran. 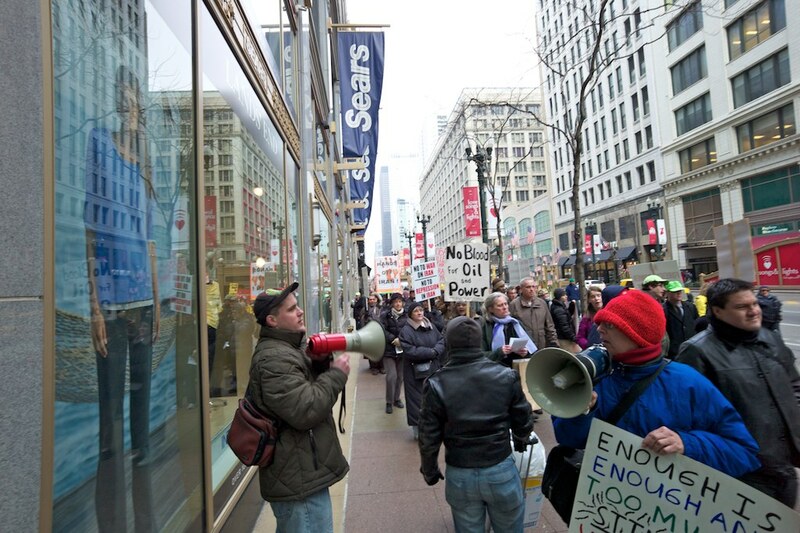 The rally was followed by a spirited march through downtown’s shopping district. At one point we marched by the Joffrey Ballet across the street. The dancers having heard us from below came to the window and waved and raised their fists in solidarity. 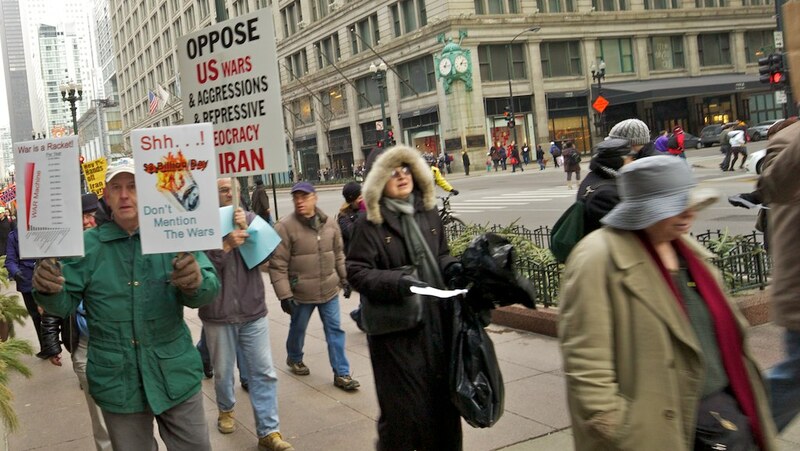 ← Join Chicago World Can't Wait and Others on Saturday Feb 4th to Say No War On Iran!